The statement, however, did not clarify whether McGuinness would remain as Donegal boss. McGuinness helped Donegal win the All-Ireland earlier this year. 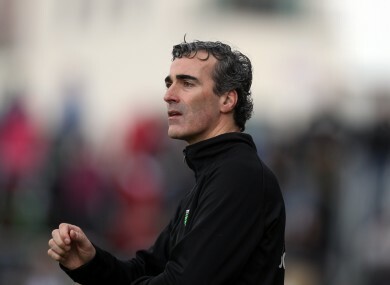 IT’S BEEN CONFIRMED today that Jim McGuinness will join Celtic as a performance consultant, following an announcement from the club. The statement, however, does not clarify whether McGuinness will remain as Donegal boss. “Obviously I work in amateur sport and the opportunity to work in professional sport in any capacity is a wonderful chance for me and one I’m very much looking forward to. My role will be based on developing the younger players in the club, development and Academy players that are U20 and that level. “It’s really about trying to work on every single one of the players on an individual level, trying to develop them in several areas, something I have experienced often in the past. “You are really looking to create a finished product that is good enough to be pushing for the first team and creating a stronger squad at the club. McGuinness went on to explain how the unprecented move transpired. “I suppose the bottom line is that it has been through my work with Donegal,” said McGuinness. “We started off at Donegal at a very low base, a low level but we have worked very hard in moving the thing forward and getting people to up a level and ultimately getting success on the pitch. “So I suppose Neil was looking in at that and watching that unfold. I was invited over then saw around the facilities and met all the coaching staff and the support people. “We are absolutely delighted that Jim has agreed to join us. He is a first-class coach and manager and a high-quality individual who has achieved so much already in sport. Email “Confirmed: Jim McGuinness joins Celtic as performance consultant”. Feedback on “Confirmed: Jim McGuinness joins Celtic as performance consultant”.